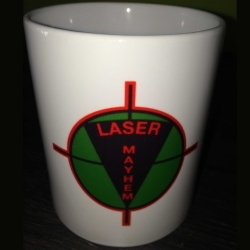 Look the part in our exclusive Laser Mayhem clothing range, or celebrate your last victory with a mug or party badge. 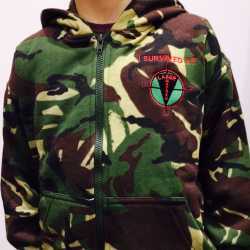 Check out the examples below of our range of laser Mayhem branded clothing and other merchandise. 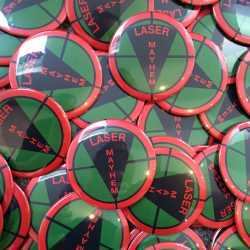 Items can also be purchased on the day at the Laser Mayhem base. Check out the details for our merchandise below. Our most popular items ! 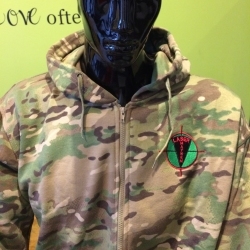 Look the part and keep warm in our exclusive Laser Mayhem hoodies - Type 1. 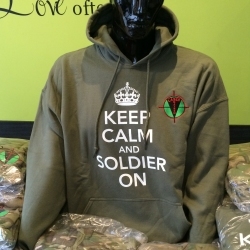 Look the part and keep warm in our exclusive Laser Mayhem hoodies - Type 2. Impress your friends and keep warm at the same time with a smart laser mayhem hoodie. 100% cotton T-shirt to remember your last visit, perfect for any occasion. The ideal birthday or christmas gift ! 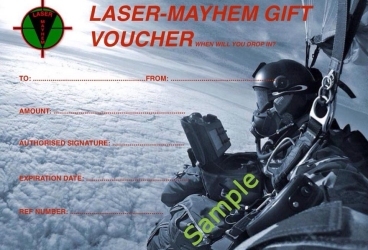 Give the gift of Laser Mayhem at birthdays or christmas with our vouchers. The vouchers can be posted to your house - please contact us to provide us with all the details to be written onto the voucher. Celebrate your last victory with every sip in our large white ceramic mugs! An inexpensive little gift to remember that special birthday, its also perfect for party bags ! 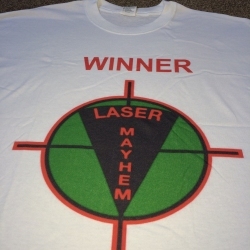 - Contact Us today if you wish to buy any of our exclusive Laser Mayhem merchandise !